If you have ever been curious about the ins and outs of the Episcopal Church, here is your chance to learn more. Saint John’s Getty Square is hosting an exciting program called Via Media (“The Middle Way”) that shines light on everything you may have felt left in the dark about. Via Media is an educational tool meant to keep members of the Episcopal Church informed about their faith and give seekers the opportunity to learn about Jesus, the Bible and the Episcopal Church. With insightful videos featuring well-known theologians and open discussion, the Via Media approach is a unique way to get people passionate and excited about the Episcopal tradition. We are meeting in the Library on Monday evenings, from 7 – 8:30 p.m. on June 4, 11, and 25; July 9 and 23; and September 10. 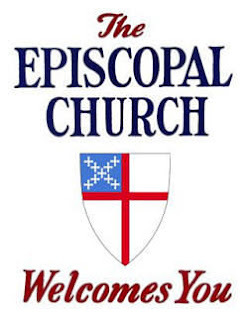 This class provides preparation for adults to be confirmed, received or reaffirmed with Bishop Mary Glasspool on Sunday, September 23, 2018, or simply to find out more about faith and the Episcopal Church. For more information please contact Mother Vicki+ (mothervsirota@gmail.com; 914 969 2969).